I was able to visit Greenbelt 5 family lounge one lazy afternoon as I was there to do errands aka window shopping. Heehee. I realized this is a perfect post to contribute for the Breastfeeding Month. As a breastfeeding mom, on hindsight despite getting used to breastfeeding, I casually find myself getting caught up with the thought of where I can have my pumping time whenever I’m out, especially in a public place. I’m sure I’m not the only caught in this situation. At times when I really have no option, I go to my car and express milk there. That is why I am very thankful to establishments who are considerate enough to provide facilities where nursing moms can feed and express milk for their little ones. I already wrote a post about Glorietta’s family lounge. 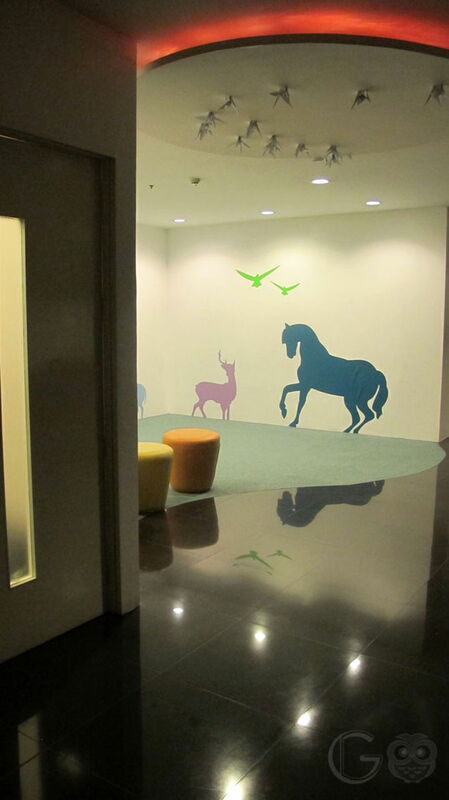 Now, here’s a look at Greenbelt 5’s family lounge. It’s a bit tricky to go here. I got confused as to where it was though there were signs that point to it. Best to ask the guards or the concierge staff. If I remember it correctly, (sorry memory gap lang) I went up using the escalator near Marks & Spencer where the Royce kiosk is located (memorize lang?!) and just went straight up until I reached the 4th level. Sorry for the grainy photos, I used my phone lang kasi. I wished though that the signage was a little bigger. You would hardly notice it because it’s small, you actually might miss it as it looks more like an office than a family lounge. 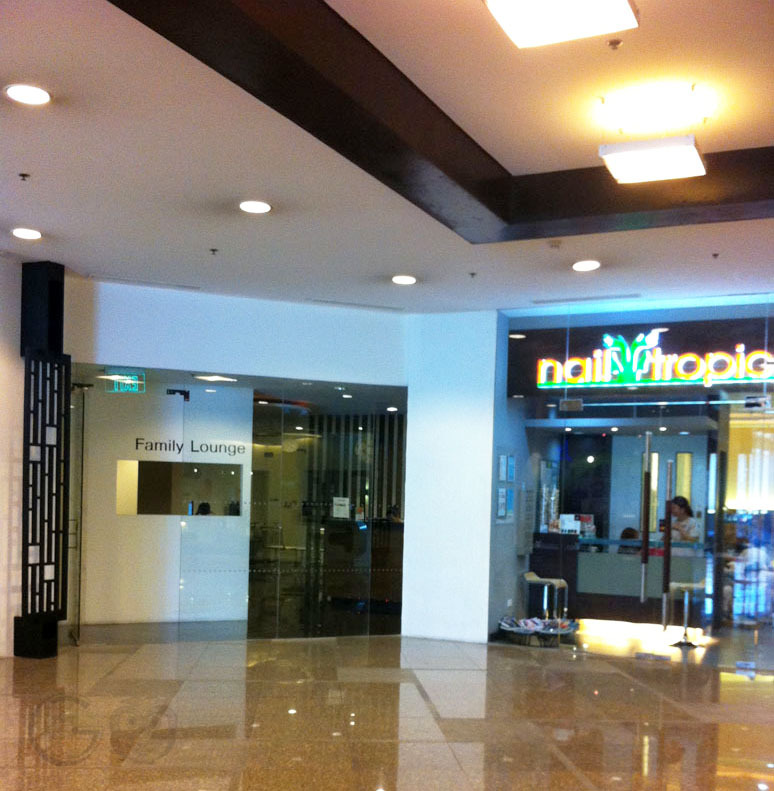 The signage of the nail spa beside it is way better. When I went there the receptionist asked if I have an Ayala A-card. I said I didn’t, then she followed up asking if I had spent at least 2, 500 php worth of items from any establishment in Greenbelt. I answered saying I just needed to express milk. Immediately, the girl just got my name and assisted me to proceed inside. Lakas maka-VIP! 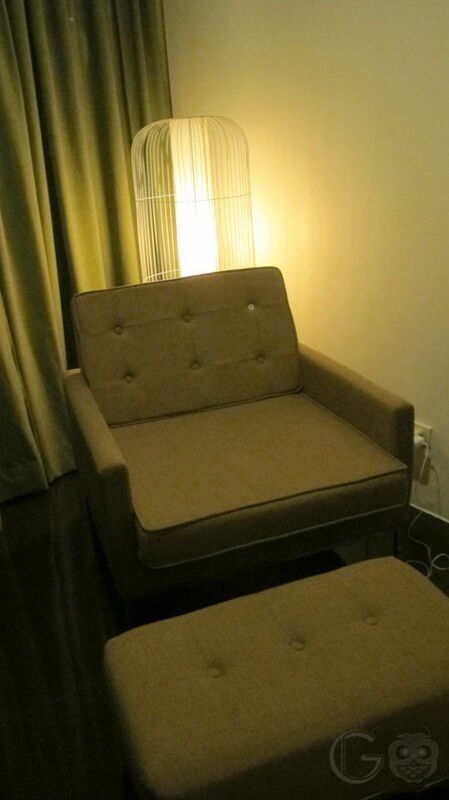 Upon entering you will see a sitting area where you can rest your weary feet from shopping or read a book. Across the lounge area, is a row of computers that I believe A-card holders can use to surf the web, browse sites, play games and even open your social media accounts. Next to the computer area is a little open room where kids can play, tumble, jump. I can’t remember if there were toys in there but I think there were. 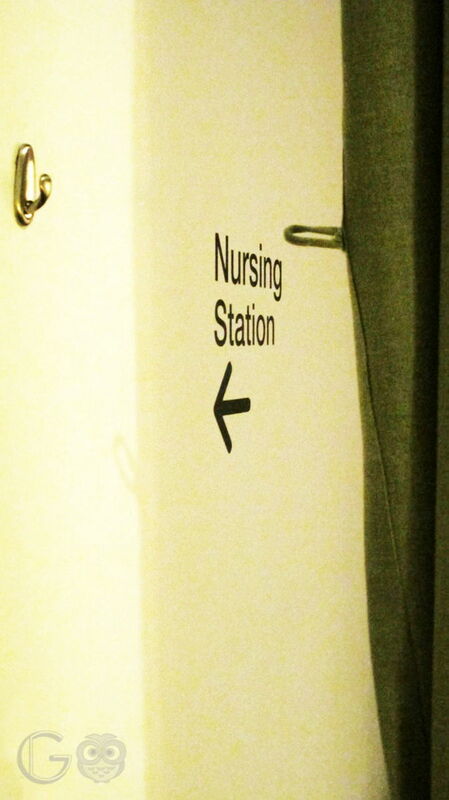 On the left side of the play room is where the nursing station is located. it sits in the middle of the family lounge but buried farthest from the door. It is a makeshift round room that is only enclosed with a curtain and can comfortably accommodate one nursing mom and her baby. There’s a lamp, a couch and a foot rest. It also has a socket, perfect to use for electronic pumps. Because it’s only good for one, while I was pumping, I heard a mom walk in with her child. I felt she sat down the couch that is adjacent to the nursing station. True enough when I was finished I saw her nursing her son. You can even see the stroller in the second picture parked beside the couch. The only downside is you have to wait for your turn if you want some privacy nursing. I love that the bathroom inside the family lounge is equipped for battle when it comes to diaper changing. 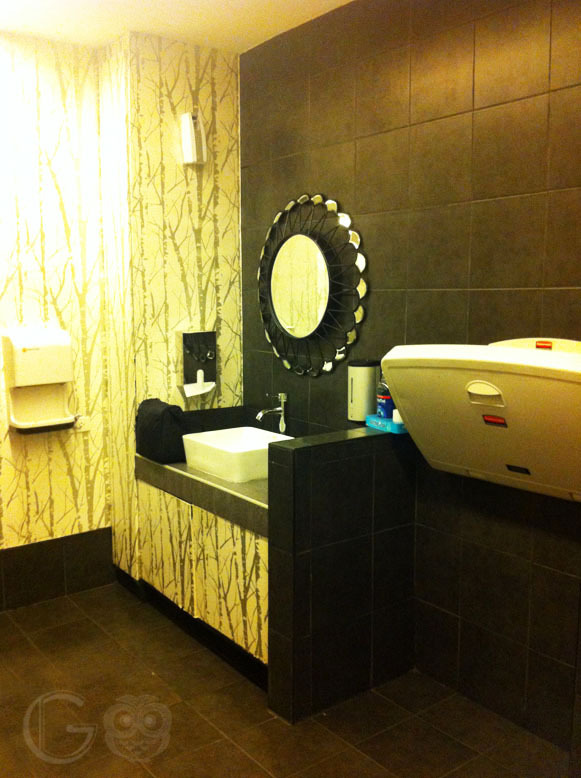 They also have essentials ready such as alcohol, mouth wash and lotion should you need to freshen up. It was a lovely experience to visit Greenbelt 5 family lounge. 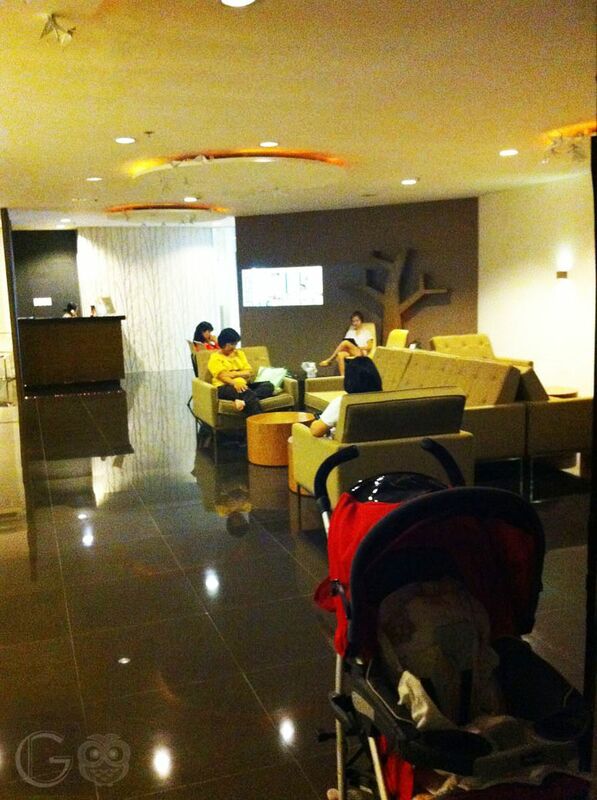 The staff were accommodating and the facility was equipped to aid breastfeeding moms. Thank you Ayala Malls for making an effort in providing such facility to further encourage nursing moms. Cheers! Last day tomorrow to join my BLOG ANNIVERSARY GIVEAWAY! Nice! I hope I can bring my family there! Hi po. Ask ko lang kung hanggang what time sya open?